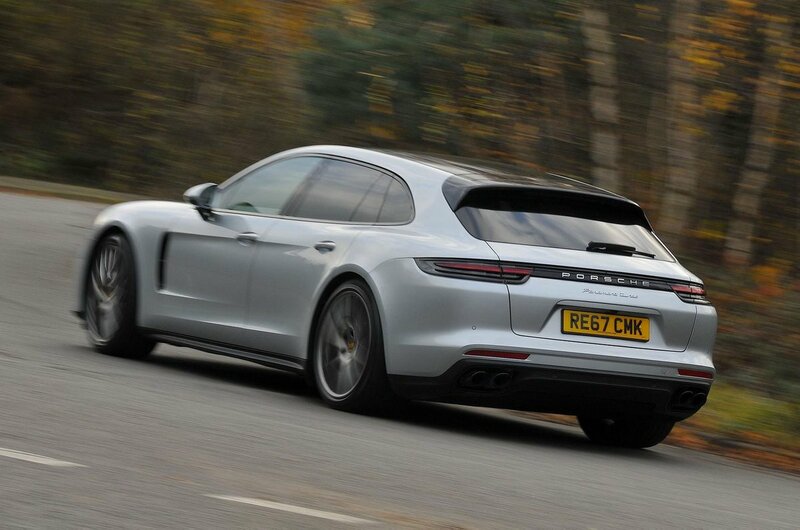 Porsche Panamera Sport Turismo Performance, Engine, Ride, Handling | What Car? 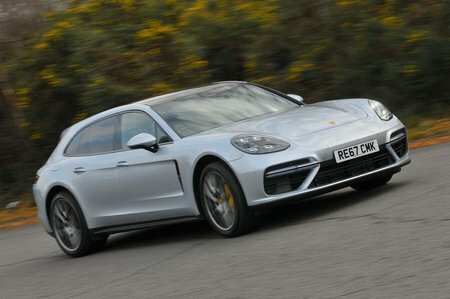 Until the Turbo S E-Hybrid Sport Turismo is introduced to the line-up later in the year, the V8-engined Turbo is the current range-topper. With 542bhp and a 0-62mph time of just 3.6sec, straight-line performance is blisteringly quick and it sounds great with the sports exhaust fitted. And yet, thanks to a flawless four-wheel drive system (unlike the standard Panamera, all Sport Turismos come with four-wheel drive) and a well-insulated cabin, you’re essentially masked from the speed. Not that the Sport Turismo’s interior is totally calm all of the time. Although wind noise is well contained and the engine is subdued, there’s a lot of tyre roar over coarse road surfaces. We can blame the steamroller-sized wheels and extra-wide tyres for that. Unless you desperately crave supercar levels of performance, the petrol V6 4 E-Hybrid is beautifully smooth, while the 4S Diesel’s prodigious shove makes it effortlessly rapid and satisfyingly refined. The latter’s vast cruising range also feels intrinsically ‘right’ in a car designed for cross continental touring. We’re yet to drive the entry-level 3.0-litre petrol or the V6 4S model, but will keep you updated as and when we do. For such a long and relatively tall car, the optional four-wheel steering system is surprisingly effective, resulting in increased agility in slower corners and unshakable high-speed stability in faster sweepers. Not many two-tonne cars can claim to be genuinely engaging on track, but the Sport Turismo is one of the few, thanks to beautifully tactile steering and impressive body control. Without question, the Sport Turismo delivers a more rewarding driving experience than any of its direct rivals. Unfortunately, we’ve only tried cars fitted with the three-chamber air suspension (the entry-level 4 Sport Turismo comes with mechanical springs and adaptive dampers). 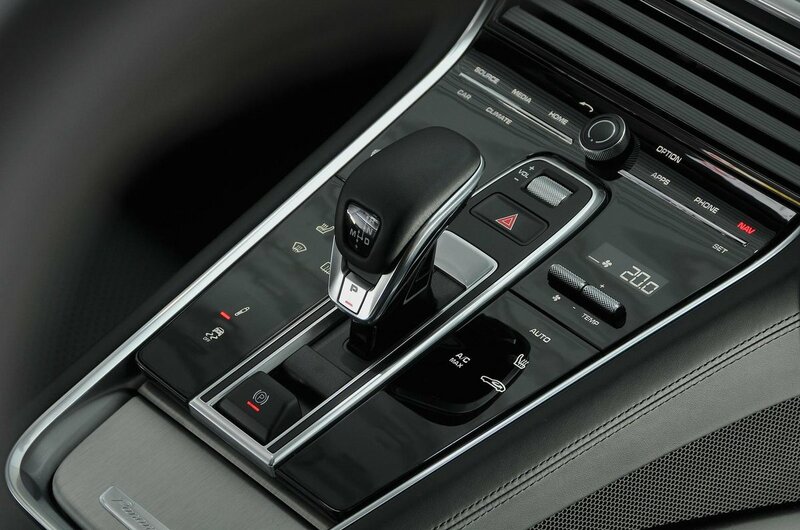 You can adjust the air suspension between Comfort, Sport and Sport Plus modes, but even in Comfort the ride is noticeably firmer than that of the Mercedes-Benz CLS or Audi A7. You’ll notice the car patter over scruffy urban surfaces, while Sport Plus mode is too firm for a typical British B-road. That said, as a car designed to be an engaging grand tourer, we’d argue that it’s more than acceptable.